Claire has a busy practice defending in all areas of crime, including gang-related offending, knife crime, violent offending, drugs offences, false imprisonment, sexual offences and fraud. In recognition of Claire’s determined and industrious approach to her work, she is often instructed in cases involving complex factual and legal issues. Furthermore, Claire’s experience in representing vulnerable defendants, notably young people and those with mental health difficulties, results in her regularly receiving instructions in cases that require careful client care. – Defending a young man charged with two counts of s18 GBH, where the issues in the case are drug induced psychosis and insanity. – Defending a mother of three with severe mental health difficulties, who has been charged with possession of a bladed article in circumstances where the knife was used for self-harm. Claire’s work on the case has been focussed on building the evidence necessary to persuade the Crown to discontinue on public interest grounds. Claire is developing an expanding practice in appellate crime. Claire’s interest in this work stems from her membership of Justice for Women: a pro-bono group who represent women appealing murder convictions in circumstances where a violent male partner has been killed. The majority of JfW’s appellate work involves bringing out of time appeals predicated on fresh evidence, through which Claire has gained a breadth of experience beyond her call. 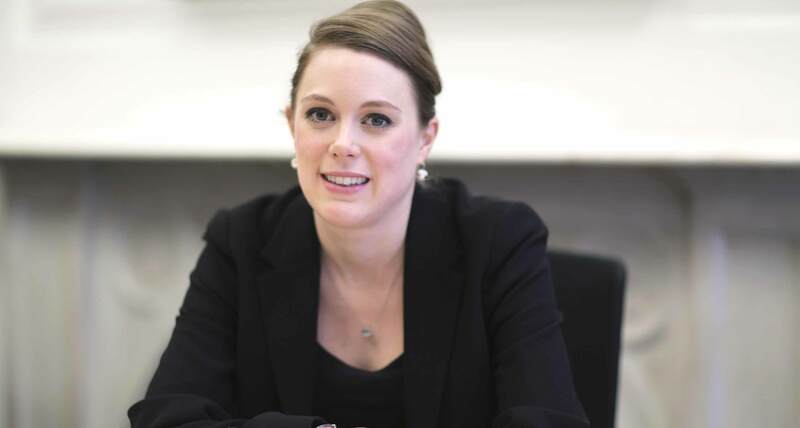 Work Claire has undertaken for JfW includes: taking instructions from the client in the case of Stacey Hyde and assisting leading counsel in drafting grounds of appeal in the case of Farieissia Martin. Claire has made repeated appearances in her own right in the Court of Appeal Criminal Division and also in the Divisional Court. R v K, 2017: having renewed the application for leave to appeal in the case of a 20 year old sentenced to custody for causing a child under 13 to engage in sexual acts, Claire appeared in front of Leveson LJ submitting that the principles of the youth sentence guideline should have been applied to reduce the sentence, given the Applicant’s youth and clear evidence of immaturity. R v T, 2017: in a case referred directly to the Full Court by the Registrar due to the important issues raised, Claire argued that an appeal against a post-conviction Restraining Order that prohibited the Appellant from returning to his home of 18 years was wrong in principle. In 2018 Claire successfully represented the Appellant in the leading case of DPP v Oraki  EWHC 115 (Admin)/  1 Cr. App. R. 27 . Claire’s work in this case involved successfully resisting an application by the Crown for leave to appeal to the Supreme Court. This case is now the leading authority concerning a defendant’s entitlement to advance self-defence or defence of another on a charge of Obstruct / Assault PC, where an officer is acting within their duty. Prior to the principle established in this case, availability of the defence was limited to situations where an officer is acting outside their duty. The case features in the 2019 editions of Archbold & Blackstone’s Criminal Practice and has been reported extensively. Claire also has experience in prison,public and inquest law. In 2017 Claire was a led junior in a judicial review of ‘extremist offender’ post-release licence conditions imposed on an individual suspected of high-level involvement in ISIS. The application for judicial review was successful in compelling the MOJ to remove all of the licence conditions that infringed the offender’s article 8 rights. In 2016 Claire represented the family of a young man who suffered with paranoid schizophrenia and died under the care of his community mental health team. This was a sensitive case involving consideration of whether Article 2 safeguards should be extended to individuals recently discharged from voluntary (yet essential) inpatient treatment. See article here. R v ND (Kingston Crown Court): Claire’s detailed written representations persuaded the Crown to offer no evidence where, following enhancement of the audio recording on body worn footage, it was revealed that police officers had failed to document exculpatory evidence provided at the scene by the complainant, in the context of a gang-related affray. DPP v M: The DPP was persuaded to intervene in and exercise his power to stop a private prosecution, against a practising nurse, for offences of s18 GBH and fraud, following detailed written submissions by Claire in this sensitive dispute. R v D (Inner London Crown Court): : Claire persuaded the Court to impose an SSO for a young woman who pleaded guilty to a s20 GBH against a violent male partner, where the injuries received by the victim were described as ‘life-changing’ and included a lacerated wrist and multiple stab wounds to his back. Claire wrote and advanced in oral argument detailed submissions on the applicability of United Nations protocol concerning the treatment of women defendants, which includes guidance for domestic courts as to how violent offending by women should be analysed. R v SB (Isleworth Crown Court): : Mandatory minimum sentence provisions for a third strike Class A dealer disapplied, resulting in a 3-year sentence on guilty pleas to three counts of PWITS Class A.
R v SS (Isleworth Crown Court): Claire made successful submission of no-case to answer, on an indictment alleging multiple non-dwelling burglaries, where the Crown’s case was predicated on unreliable DNA and identification evidence. R v AC (Wood Green Crown Court): Claire represented the first defendant on a two-count indictment alleging violent offences including affray, ABH, and knife possession. Client acquitted of all charges. R v COS (a youth) 2016 (Harrow Crown Court): on appeal against conviction from the Willesden Magistrates’ Court, Claire successfully persuaded the court to uphold a s78 application to exclude the evidence of a complainant who constantly sought to frustrate the trial, and subsequent re-trial, of a 16 year-old boy charged with an assault by beating, as a result of him brandishing a laser pen. Since 2009 Claire has been a member of Justice for Women (JfW): a pro-bono organisation representing women appealing murder convictions in circumstances where they have killed a violent partner. JfW was founded over 25 years ago and was instructed in the seminal cases of R v Humphreys and R v Ahluwalia. Current Justice for Women campaigns include that of Sally Challen; a case which has received extensive media coverage as a result of the landmark issue the CACD is being asked to consider: should coercive and controlling behaviour be incorporated into the court’s understanding of the partial defences of loss of control and diminished responsibility? See Channel 4 News report here. April 2017: addressing MPs and policy makers at the House of Commons on the subject of the criminal justice system’s response to domestic violence, including offending driven by domestic violence. Oct 2017: organising JfW’s 25year anniversary celebration, at which Claire appeared in a panel discussion alongside Harriet Wistrich & Helena Kennedy QC. Nov 2018: chairing a JfW public meeting at which the cases of Sally Challen, Emma Jayne-Magson and Farieissia Martin were discussed. Claire began her legal career at Solace Women’s Aid, North London, where she worked as a family law paralegal, assisting domestic violence victims in applications for injunctive relief and care proceedings. Claire then moved to prison law, where she represented prisoners in adjudications, parole hearings and prison treatment cases. Claire’s final position before being called to the bar was as an assistant to a partner and senior solicitors in the immigration and crime teams of Birnberg Peirce & Partners. Immediately prior to being called to the bar Claire worked for Birnberg Peirce & Partners, where she assisted the immigration team in their asylum, SIAC and other immigration work.